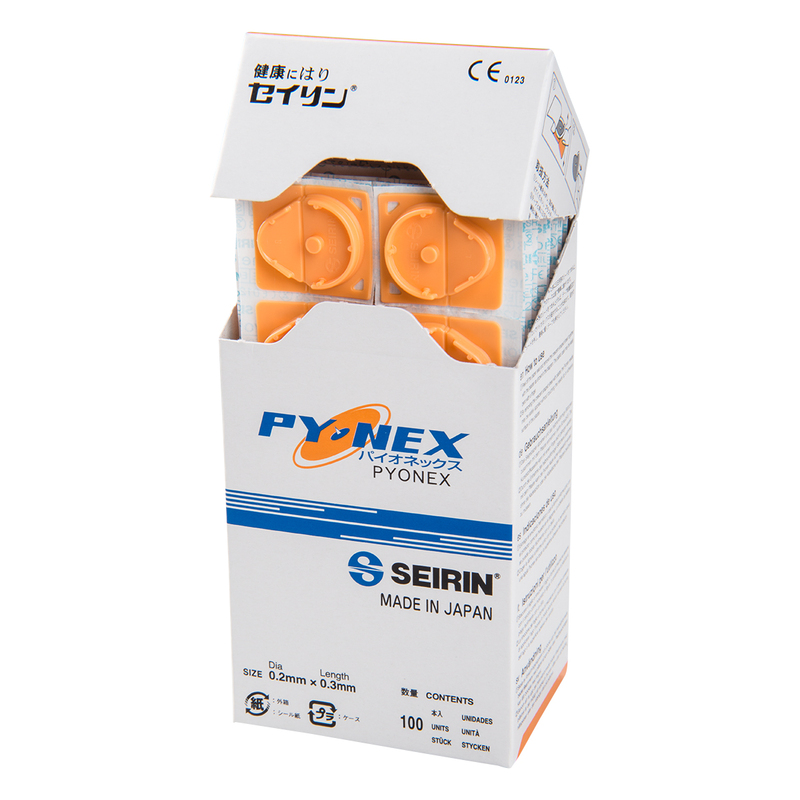 SEIRIN ® New PYONEX - 0.11 x 0.30 mm, orange, 100 pcs. per box. 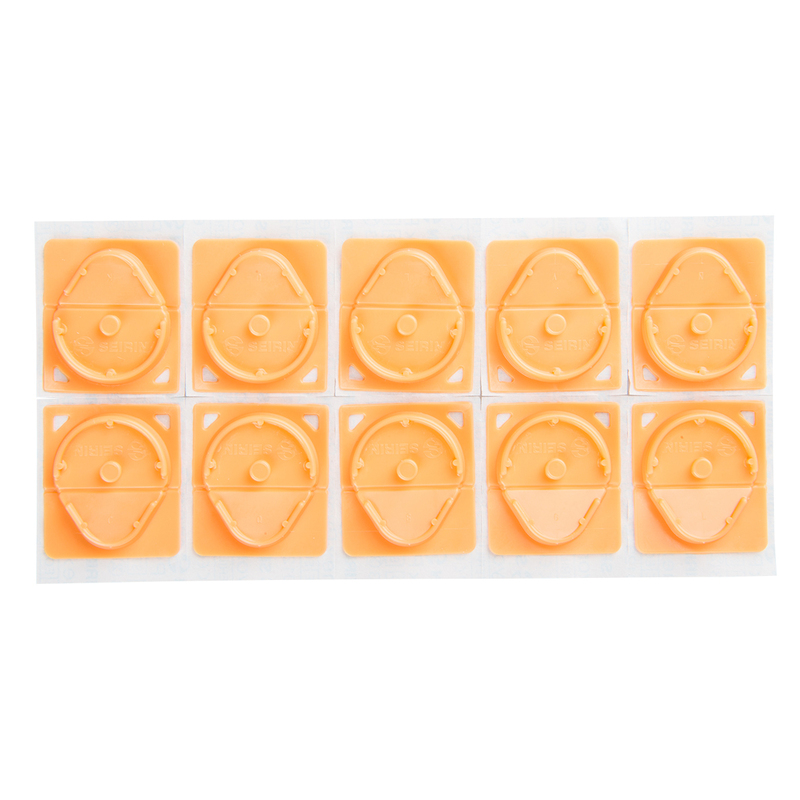 The experts are in total agreement: this is one of the very best innovative products in the field of acupuncture. 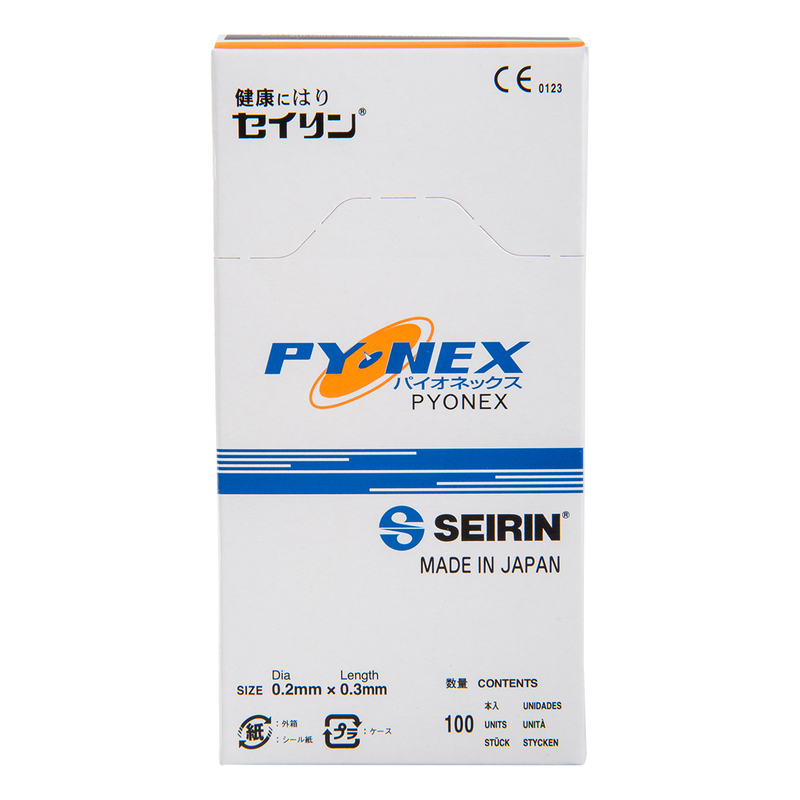 NEW PYONEX gentle press needles guarantee gentle, superficial, virtually imperceptible needle insertion, are easy-to-use, hygienic, safe and almost invisible at first sight. 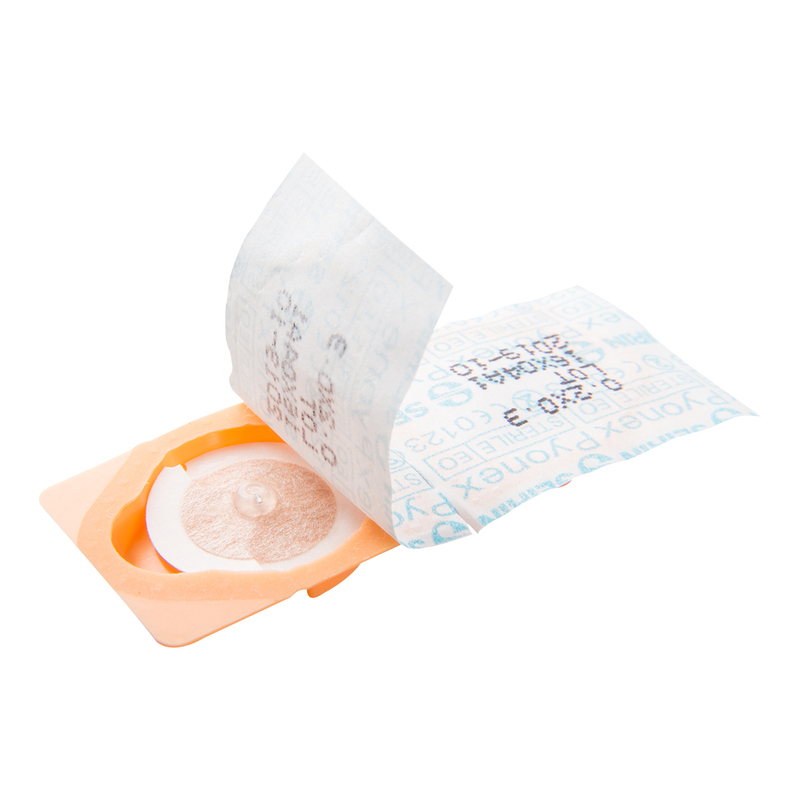 NEW PYONEX needles are embedded in a coloured plastic carrier pack, which does not look like medical packaging and is therefore especially popular with younger patients. The breathable plaster is stuck to the skin and can be fixed on precisely, safely and for long periods (up to 48 hours) and kept on even when washing and showering. 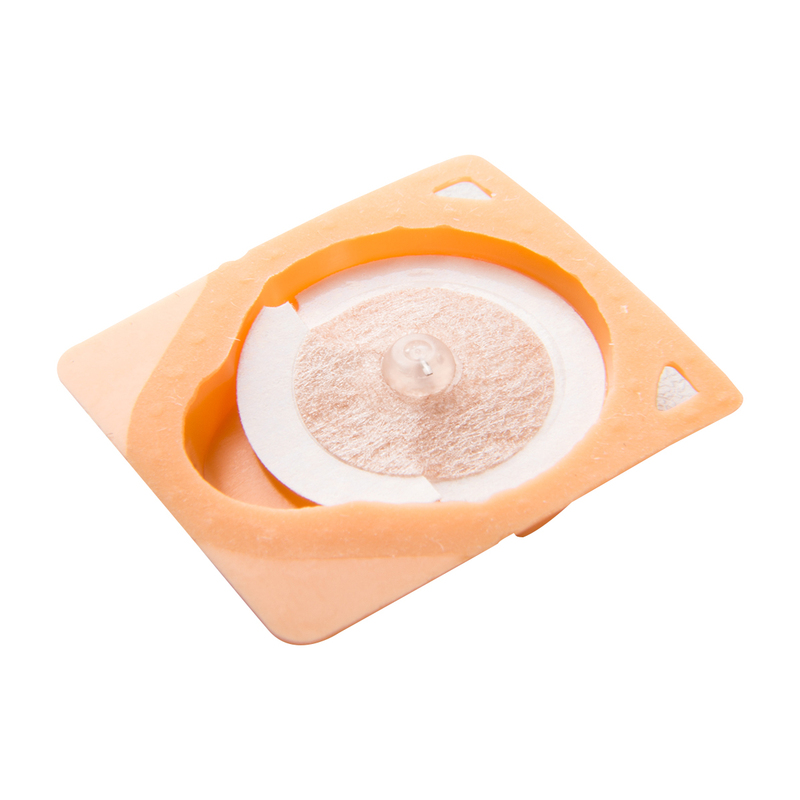 The 0.20 mm thin needle is concealed within the adhesive surface of the plaster and can scarcely be left by the patient. The needles are stimulated by pressing a finger down on the easily-to feel pressure point incorporated into the plaster. This involves patients actively in their own therapy and thus enhances the therapeutic effect. A further advantage of this plaster is that parents can continue to treat their children gently at home. 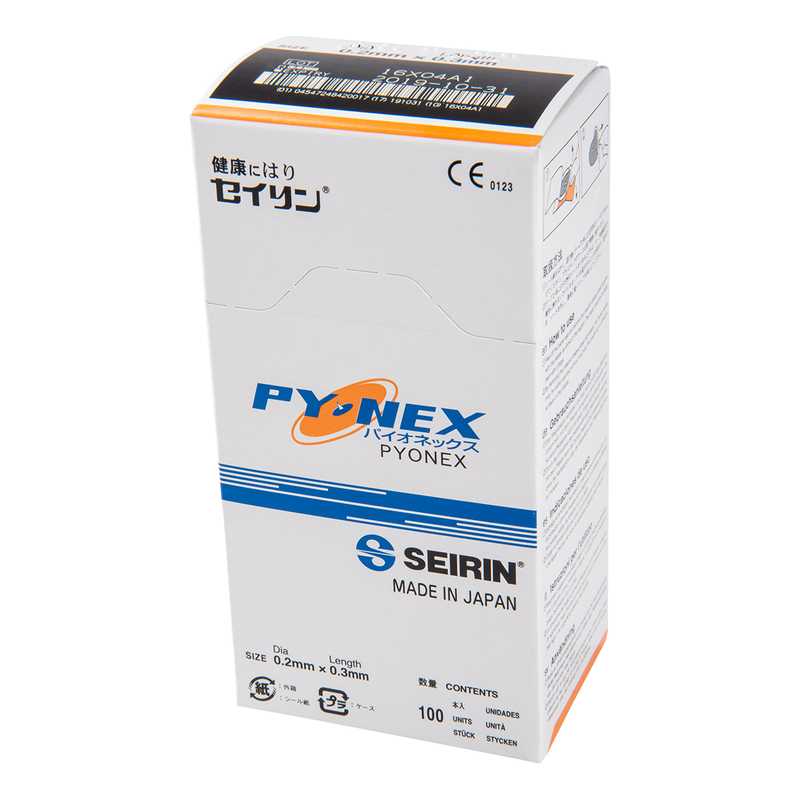 NEW PYONEX needles can be used on a patient’s body and, depending on the patient’s anatomy, also on ear points. As the needles are available in short lengths (0,30-1,50 mm), NEW PYONEX gentle press needles are popular with children, patients with a low pain tolerance and patients with a needle phobia.